Will and Probate solicitors are exceptionally important to consider when in need of legal advice regarding your Will or the making of a Will. Many times people wait far too late to receive crucial legal advice and are left in a situation where they have to contest a Will or potentially seek legal advice to find the Will of a loved one. It is important to make sure that you prepare in good time in order to prevent anything getting in the way of your bereavement process, which is already hard enough. Advising on lifetime gifts and trusts as part of estate planning. You may name the people who will receive your money and property and the amount they will receive. You may give a specific item, for example, a piece of jewellery/a motor car or fixed amounts of money. You may include friends and Charities. You may name people you trust to carry out your instructions in your Will (they are called Executors). Your Executors will ensure those people you have left money and property to receive this. If your affairs are complex you can appoint your Solicitor as one of your Executors. You may name the person(s) (they are called Guardians) who will look after any of your children who are under 18. You may stipulate the age at which your children will receive their legacy, for example, 18, 21 or 25. You may allow your Trustees (they look after the money until your children attain the stipulated age) to use some of the capital and income for the maintenance education and benefit of your children until they attain the stipulated age. To reduce Inheritance Tax (this may be payable depending on the value of your money and property when you die). Broadly, if the net amount of your money and property exceeds £325,000 (current threshold for Inheritance Tax) when you die any amount over £325,000 will be taxed at 40%. You may state whether you wish to be buried or cremated and give any other special directions. If you die without having made a Will, there are certain rules that govern who will receive your money and property and the amount. Your husband/wife/Civil Partner will not necessarily receive everything. Your partner (unless you are in a Civil Partnership) will not receive any of your money and property. If you are not married or in a Civil Partnership, have no children, your parents have passed away and you have no brothers and sisters then your money and property will go to distant relatives or ultimately the Government. The rules govern which of your relatives will be responsible for dealing with your affairs when you die and ensuring those relatives entitled to your money and property receive their share. Your children will receive money and property to which they are entitled at age 18. There may be a dispute among family members as to who will look after your children who are under 18. It may lead to family disputes. There is the possibility of a large bill for Inheritance Tax. A Will can be drafted to reduce the amount of Inheritance Tax. How you write your Will may have very serious effects on your friends and family. 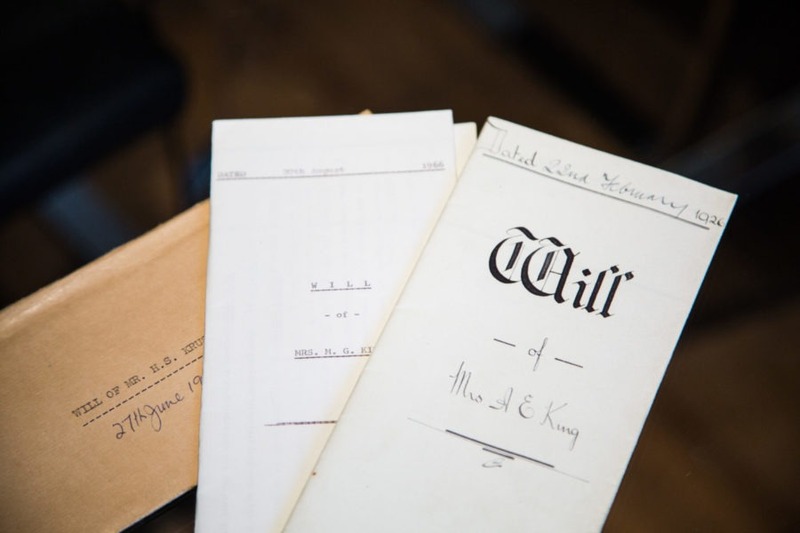 At Bloomsbury Law we have years of experience in the field and are happy to help you make sure your Will is written properly so to ensure your assets are secure and that your beneficiaries are in a worthy position and that your estate administration is in good hands. If you are seeking legal advice on the topic of Wills and Probate, please get in contact with our team of specialists. We will listen to your circumstance, answer any enquiries that you may have and advise you accordingly once we are instructed.